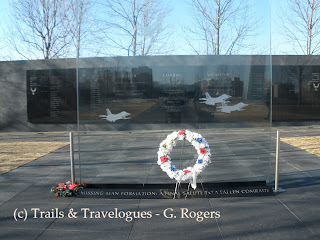 The Air Force Memorial is located in Arlington, Virginia on the grounds of Fort Myer, overlooking the Pentagon, Potomac River and Washington DC. 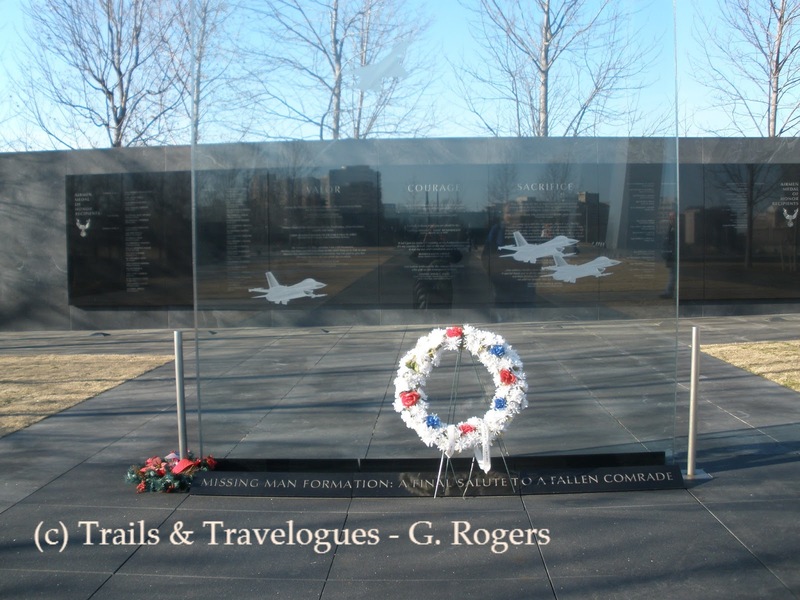 The memorial is also very near the Arlington National Cemetery, between the street intersections of Columbia Pike and South Joyce St. 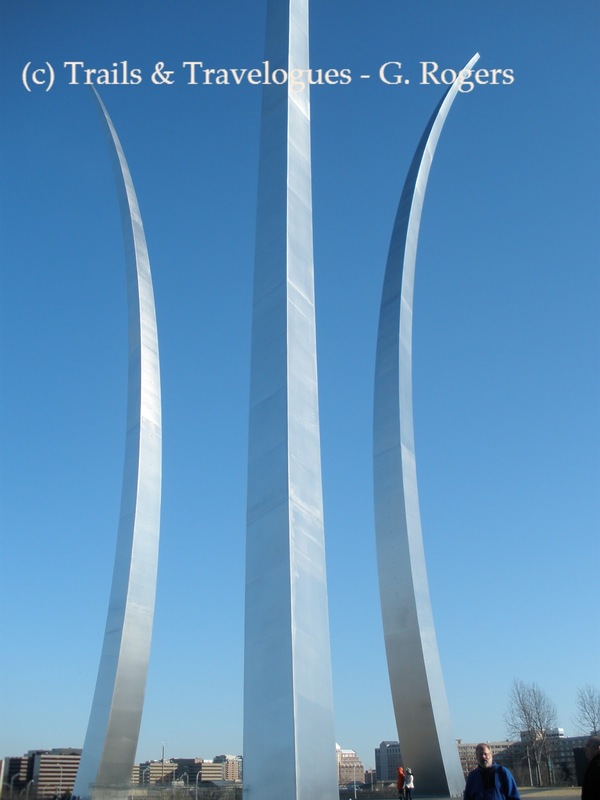 The Air Force Memorial can easily be recognized with its very distinctive design, - the three memorial spires ranging from 201-270 ft. high which appear to be soaring. This design was inspired by the Air Force Thunder birds performing their signature "bomb burst" maneuver performance in the air. 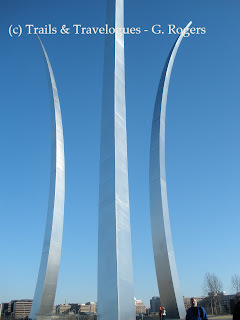 Beneath those spires is the US Air Force "star" embedded in granite. Before the inscription wall, there are four 8ft. tall bronze statues depicting the memorial's Honor Guards. To the north of it is a glass contemplation wall, - a free standing glass panel with some images. At each end of the central lawn are two granite inscription walls that measure 56 ft in length, 10ft. in height and 1 foot diameter thick.